**New Launch Promotion** - Free Furniture Package including electrical appliances. 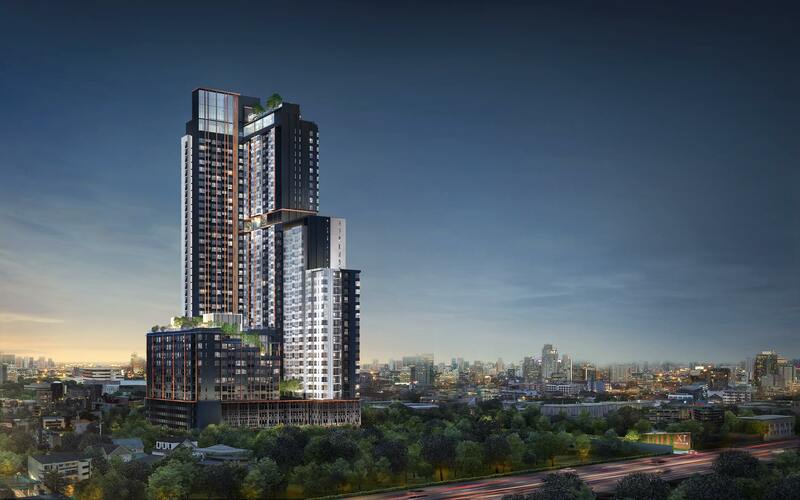 XT Huai Khwang is released for sale as a joint venture between Thailand’s leading public listed developer and a major Japanese developer. 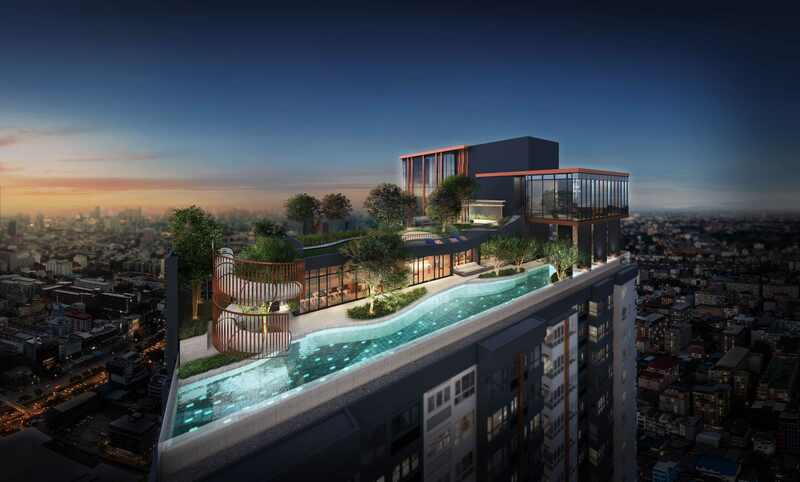 Only 75m from the MRT station…..Invest now in this rapidly developing area which is Bangkok’s 3rd CBD. 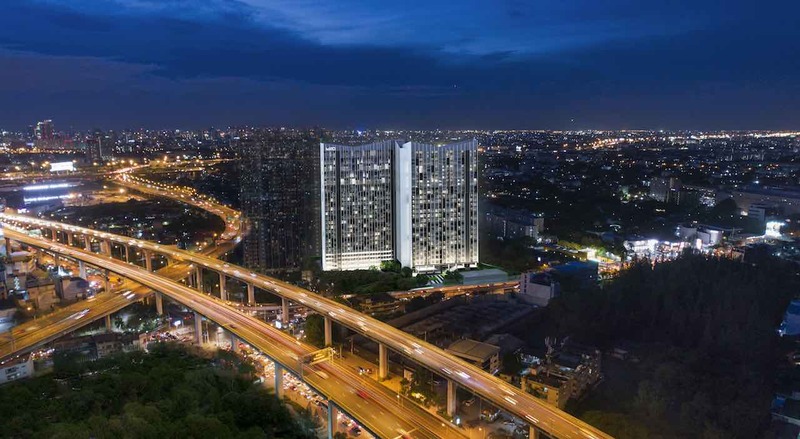 XT Huai Khwang is positioned ideally in Huai Khwang in the area of Ratchadapisek – just 75 metres from MRT Huai Khwang on the blue line, this is also just one stop from the new intersecting Orange Line coming soon. This location is highly popular with Asian expats and Thai local professionals working in downtown. 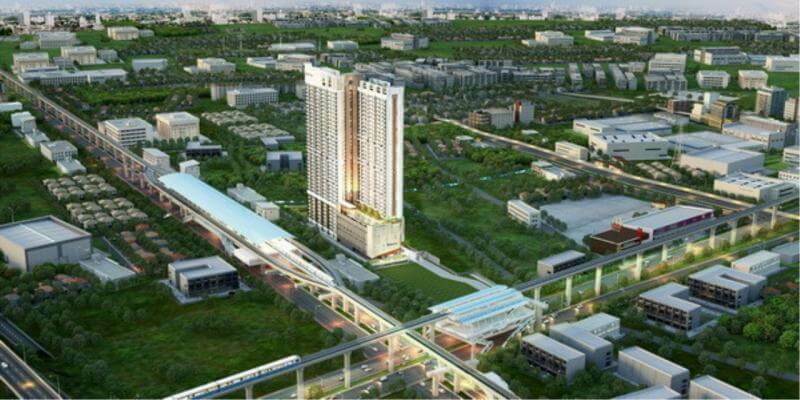 XT Huai Khwang is a high rise project with 2 residential towers. Tower A = 43 floors. Tower B = 14 Floors. In total there are 1,404 units ranging in size between 1 Bedroom and 2 Bedroom. Facilities are simply fantastic…. 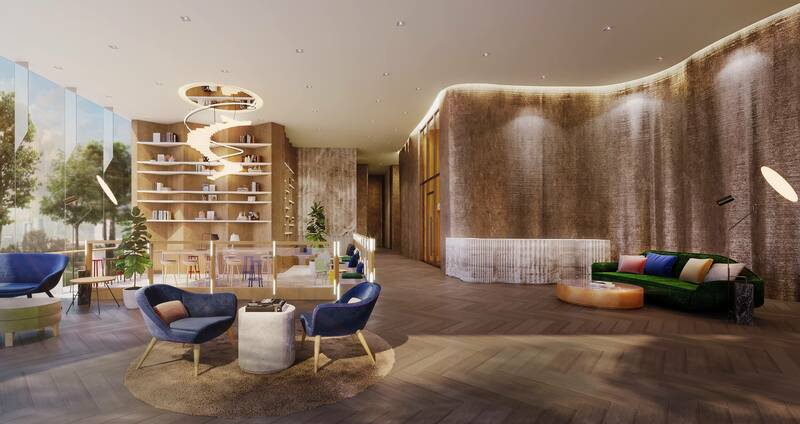 On 42nd – 43rd floors you will find The Helix Rooftop Terrace, Hidden Sky Bar, Swimming Pool & Slide, Exercise Studio and Fitness Centre. On 29th Floor is the Tea House, Green Area, Co-Working Space and Laundry Room. 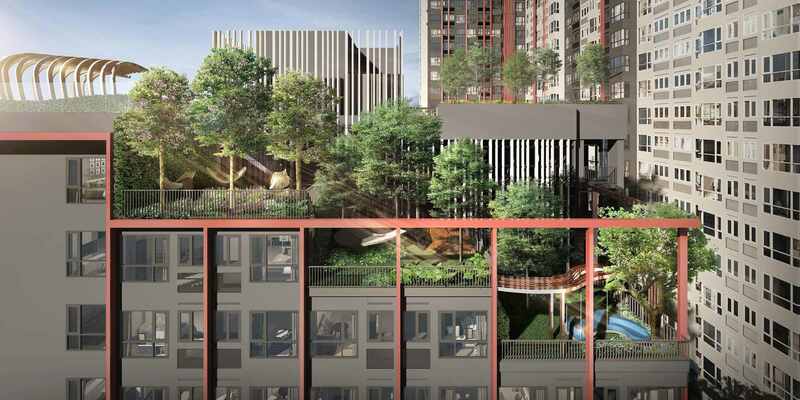 On the 6th floor is an Oasis Garden and Observation Deck. Parking is located between 1st – 6th Floors. 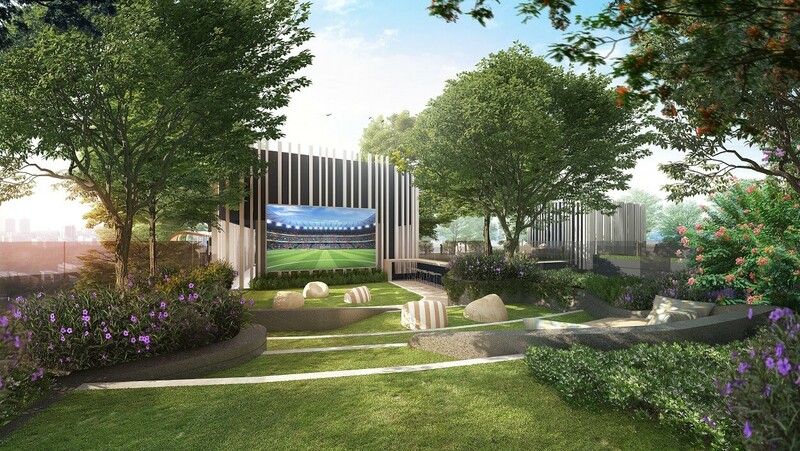 On the 1st Floor you will find the Welcome Pavilion, Play Station, Jogging Track, Family Mart Convenience Store, Kids Club and Photo Studio, Cooking Studio, Arts & Crafts, Outdoor Theatre. In total there is an impressive 1.5 acres of communal garden area.